As a huge gaming geek, I love video games. As a huge design geek, I love ornaments and decorations. Thus, I love good video games that sport beautiful ornaments. One example that never ceases to inspire me is the Final Fantasy series. Especially the elaborate magical summoning effects border on amazing. An important part of summoning effects since Final Fantasy X are the summoning ‘seals’, symmetrical designs that resemble intricate, hermetic patterns not unlike a classical summoning circle. Each summoned being has its own characteristic mark. 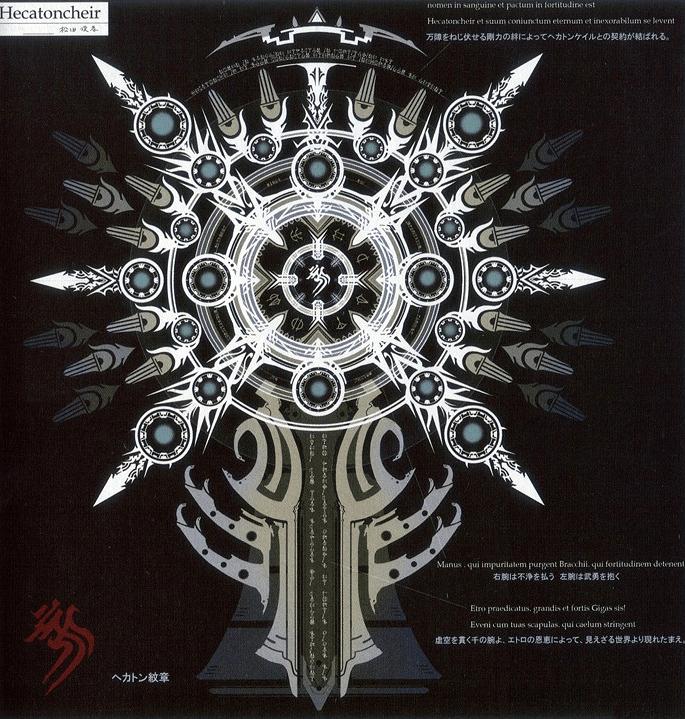 Each subsequent game in te series has had a distinct style of summoning glyph. In FF XII, they are elongated and symmertrical along only a single, vertical axis. Also, they are strictly monochrome and have very little tiny lines and frills — everything is solid and rich in contrast. And in XIII, they are just extremely elaborate, with lots of thin lines, a multitude of runes in different scripts. 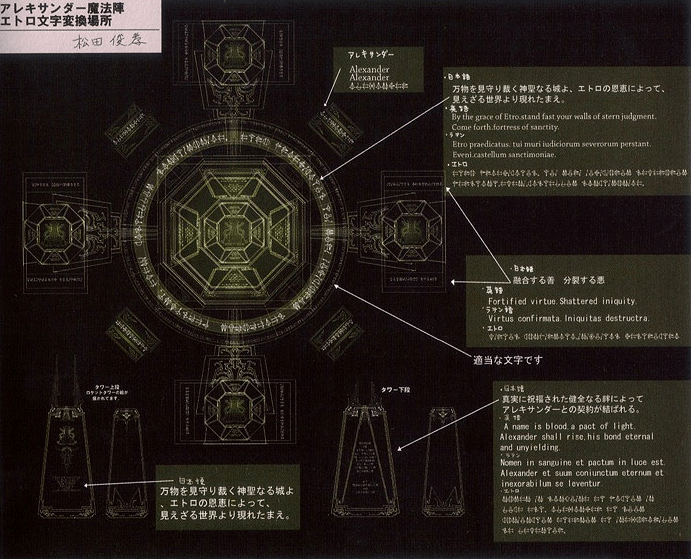 Most everyting in XIII is elaborate, though, with lots of recurring motifs and patterns. It’s a rather common sight in fantasy media to have magic be accompanied by symbols and other drawings in the air. The ‘storytelling tools’ website tvtropes (warning: major time sink!) even has a name for this phenomenon: they call it ‘Instant Runes‘. These elaborate illustrations find their origin in, among others, hermetic magic. Especially for the Final Fantasy X ones, the influence of Mandalas is also clearly visible. The D&D fanatic and fan of Final Fantasy thanks you for this.